[Became Law] Senate Bill No. 1476 (Arizona Revised Statutes 26-305.03) April 25, 2014. https://legiscan.com/AZ/text/SB1476/id/1035990/Arizona-2014-SB1476-Chaptered.html (accessed October 21, 2018). [Became Law] Senate Bill No. 1076. 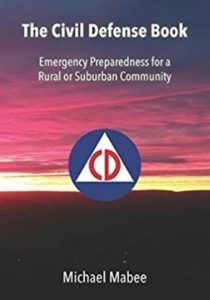 Emergency Preparedness. September 11, 2018. https://leginfo.legislature.ca.gov/faces/billTextClient.xhtml?bill_id=201720180SB1076 (accessed October 21, 2018). [Became Law] Senate Joint Resolution No. 20. Electrical Grid. August 9, 2018. https://leginfo.legislature.ca.gov/faces/billTextClient.xhtml?bill_id=201720180SJR20 (accessed October 21, 2018). [Failed] Senate Bill 370. Energy: Solar Storms. February 1 2018. https://legiscan.com/CA/bill/SB370/2017 (accessed October 21, 2018). [Failed] Senate Bill 1852. Electromagnetic Pulse Preparedness. March 10, 2018. https://legiscan.com/FL/bill/S1852/2018 (accessed October 21, 2018). [Failed] House Bill 1343. Electromagnetic Pulses and Geomagnetic Storms. May 2, 2014. http://static-lobbytools.s3.amazonaws.com/bills/2014/pdf/1343.pdf (accessed October 21, 2018). [Failed] Senate Resolution 1190. Power Grid Protection; create senate study committee. March 12, 2014. http://www.legis.ga.gov/Legislation/en-US/display/20132014/SR/1190 (accessed October 21, 2018). [Introduced] House Bill 2695. Electric grid vulnerability to solar storms study required, and money appropriated. May 20. 2017. https://legiscan.com/MN/bill/HF2695/2017 (accessed October 21, 2018). [Introduced] House Bill 2819. Electrical grid vulnerability to solar storms study required, and money appropriated. February 20, 2018. https://legiscan.com/MN/bill/HF2819/2017 (accessed October 21, 2018). [Introduced] Senate Bill 2840. Electrical grid vulnerability to solar storms study requirement and appropriation. March 1, 2018. https://legiscan.com/MN/bill/SF2840/2017 (accessed October 21, 2018). [Died Via Governor Veto] House Bill 529. An Act To Ensure Resiliency of the Maine Electrical Grid. May 16, 2017. http://legislature.maine.gov/legis/bills/display_ps.asp?LD=529&snum=128 (accessed October 21, 2018). [Failed] House Bill 255. An Act To Implement Electric Grid Reliability Recommendations. January 31, 2017. https://legiscan.com/ME/bill/LD255/2017 (accessed October 21, 2018). [Introduced] Senate Resolution 183. A resolution to memorialize the Michigan Public Service Commission and Michigan State Police to take steps to harden Michigan’s electric grid. September 26, 2018. https://legiscan.com/MI/bill/SR0183/2017 (accessed October 21, 2018). [Introduced] Senate Bill 1066. Modifies provisions relating to hardening of the electric grid against certain storms. February 28 2018. https://www.senate.mo.gov/18info/pdf-bill/intro/SB1066.pdf (accessed October 21, 2018). [Passed – Filed With Secretary of State] House Concurrent Resolution 3010. 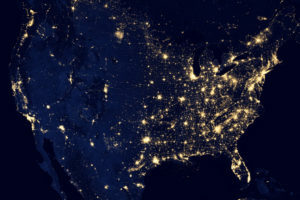 A concurrent resolution recognizing the efforts undertaken and the continued need for the State of North Dakota and the entire United States to undertake responsible measures to harden our commercial electrical grid against multiple serious threats. March 16, 2017. https://www.legis.nd.gov/assembly/65-2017/bill-actions/ba3010.html (accessed October 21, 2018). [Introduced] House Bill 3365. An Act relating to state government; requiring contingency planning for electromagnetic pulses; imposing duties on state governmental entities; requiring contingency plan; specifying requirements of contingency plan; providing for codification; and providing an effective date. February 5, 2018. https://legiscan.com/OK/bill/HB3365/2018 (accessed October 21, 2018). [Introduced] House Bill 2623. An Act relating to state government; requiring contingency planning for electromagnetic pulses; imposing duties on state governmental entities; requiring contingency plan; specifying requirements of contingency plan; providing for codification; and providing an effective date. February 3, 2014. https://legiscan.com/OK/bill/HB2623/2014 (accessed October 21, 2018). [Introduced] Senate Bill 674. Public health and safety; instructing Hazard Mitigation Team to develop recommendations on EMP preparedness. Effective date. February 6, 2017. https://legiscan.com/OK/bill/SB674/2018 (accessed October 21, 2018). [Introduced] House Resolution 103. Urging the Congress of the United States to take action to provide for the security and resilience of the nation’s electric grid. March 1, 2017. https://legiscan.com/PA/bill/HR103/2017 (accessed October 21, 2018). [Introduced] Senate Bill No. 1003. Relating to promoting the resilience of the electric grid and certain municipalities. February 2019. https://capitol.texas.gov/BillLookup/History.aspx?LegSess=86R&Bill=SB1003 (accessed March 13, 2019). [Introduced] House Bill 431. An act relating to securing the safety of the electrical power grid from an electromagnetic pulse attack or severe solar storm. February 23 2017. https://legislature.vermont.gov/bill/status/2018/H.431 (accessed October 21, 2018). [Passed] Senate Joint Resolution 61. Geomagnetic disturbances & electromagnetic pulses; joint commission to study preventing damages. February 19 2014. http://lis.virginia.gov/cgi-bin/legp604.exe?141+ful+SJ61 (accessed October 21, 2018).